Coffee Shop at Pennau Craft & Coffee Shop01970 820050work CafePennau Craft and Coffee Shop in the village of Bow Street is just four miles north of the busy coastal resort of Aberystwyth. At this award-winning Pennau Craft Coffee Shop, the accent is firmly on offering the best that Wales has to offer. The majority of the menu is prepared in Pennau's own kitchens and all dishes have one thing in common: they're all prepared with care using only the best available ingredients. 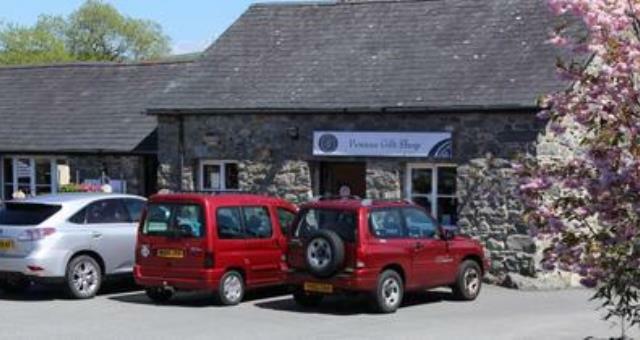 With ample car parking Pennau Craft & Coffee Shop is open throughout the year, offering an extensive menu of home-cooked food all day long - not just at lunchtime! The Coffee Shop serves great tasting Cappuccinos, Lattes, Americano's and espresso's all made with freshly ground Caffe Gioia coffee beans. Pennau Craft and Coffee Shop in the village of Bow Street is just four miles north of the busy coastal resort of Aberystwyth. At this award-winning Pennau Craft Coffee Shop, the accent is firmly on offering the best that Wales has to offer. With unique Celtic crafts to delight the young and old, we're sure you'll find something special by which to remember your visit to Wales. We are open 7 days a week, 10am - 5:30pm, June, July, August and September. During the rest of the year, we are closed on Mondays. 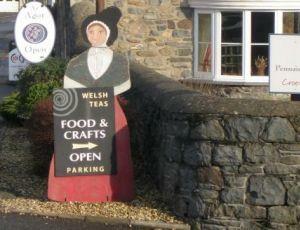 Situated in Bow Street, a village 4 miles north of Aberystwyth on the A487, opposite petrol station by 'Borth' junction.